Microsoft is now giving holiday shoppers even more value by reducing the price of its incredibly popular Xbox 360 Wireless Racing Wheel by $30 to just $99 (U.S. ERP). 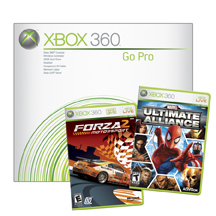 The newly priced Xbox 360 Wireless Racing Wheel now comes bundled with a driver disc and a demo of the acclaimed “Forza Motorsport 2” including full force feedback support. With its sleek design and cutting edge technology, the Xbox 360 Wireless Racing Wheel immerses gamers in an unparalleled racing experience. 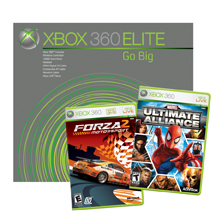 The Wireless Racing Wheel is compatible with all of the most popular racing games on Xbox 360. ESPN NHL Hockey emerges with new levels of realism and detail, not yet seen before in hockey video games. Experience the complete NHL environment from the real-time reflections of the arenas on ice to..